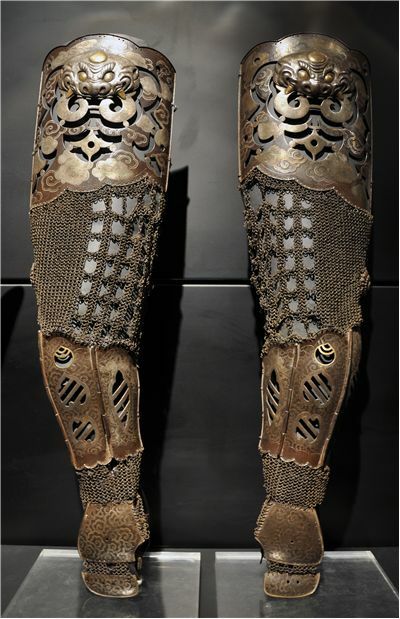 History of combat armor represents one of the most interesting parts of our entire history, with constant innovation and expansion of new techniques and materials that managed to significantly change the look and feel of battlefields from one century to another. 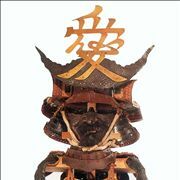 If you are interested to learn more about military history of our ancestors, there is no better place to start than with combat armors, their types, most popular designs and other interesting facts about armors. 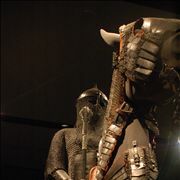 In the beginning, armors were made from simpler and lighter materials such as hard cloth and leather that was intentionally hardened, mixed with other materials (pieces of cloth, animal fur, horse hair) and created in multi-layered design that could stop smaller bladed weapons. 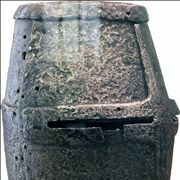 However, arrival of bronze metallurgy between 3rd and 1nd millennia BC enabled several early civilizations to start producing protective gear that was much more durable and able to withstand blows from larger and more powerful bladed weapons, blunt attacks and ranged weapons (arrows). 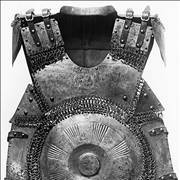 According to current historical findings, the earliest examples of metal armors come from Greek Mycenaean Era, whose armorers in 1400 BC managed to create exquisite bronze metal plate armors that protected chest, back, neck, shoulders, upper arms and upper legs of the soldiers. 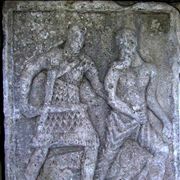 Similar designs continued to spread across Greece, leading to the large popularization of the Corinthian-style bronze helmets, figure of eight or rectangular “tower” shields, and hoplite round bowl-shaped shields that were made from wood and reinforced with bronze. 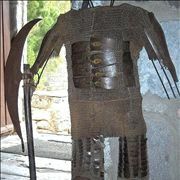 These “Aspis” hand shields became the staple of Greek military history, being remembered as integral part of Spartan military technique of forming their legendary Phalanx formations. 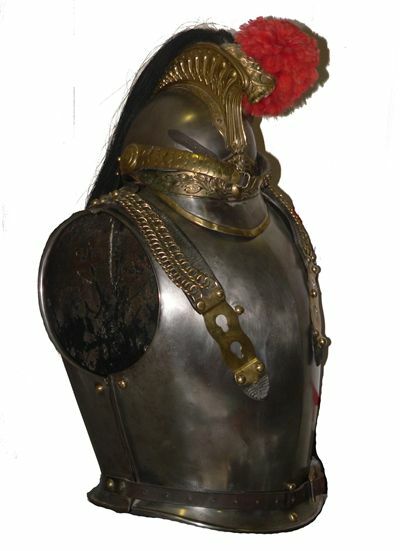 Seeing successes of Greece, Macedonian and Egyptian armies, Rome managed to surpass them all by utilizing next generation of armors that were based not only on leather or single-piece metal gear, but segmented armors that provided soldiers with great protection against hand or thrown weapons, but will added ability of easier movement and flexibility. After Rome managed to spread across Europe, North Africa and Middle East, its fall in 5th century AD managed to leave space for new countries to start developing their own new protective gear. 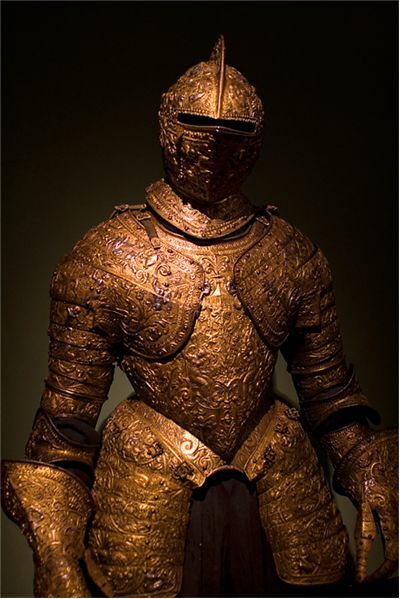 Fueled by the constant warfare, Medieval Europe played an important role in the history of armor and protective gear. 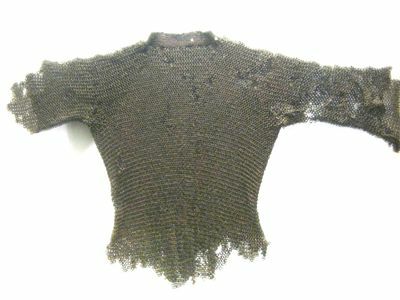 It was there where many new body armor types were implemented and tested in centuries-long warfare, including of course and development of new weapons that could be used against soldiers who wore chain, mail, scale, ring, plate, enhanced leather and even full suit of armor that enabled knights to wear around 30 kg of metal from their heads to toes (sometimes even more in case of fully armored cavalry). 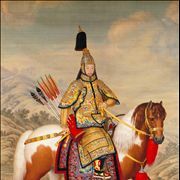 Incredible history of Medieval and Renaissance warfare in Europe and warfare in Asia where elaborate armors were created everywhere from China, Korea to Japan came almost to the complete end with the introduction of the modern and high-powered gunpowder warfare. Simple gunpowder hand cannons, crossbows and Arbalest put some pressure to heavy armors, but guns made all those armors totally obsolete. It was only with World War 1 that regular use of metal helmets was standardized as integral part of soldier gear, and during WW2 metal bulletproof vests were used only in very limited situations and by small amount of units. 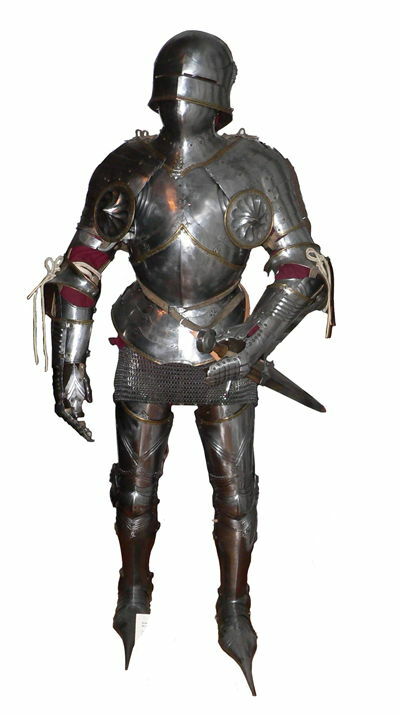 Before WW2, many types of silk armor were tested both officially and unofficially (mostly by gangsters in the US), but they were not effective against stronger bullet cartridges. 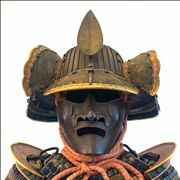 After World War II, much more advanced and durable industrial materials such as ceramic plates, plastic and of course Kevlar which today represent the basis of almost all modern armor gear.